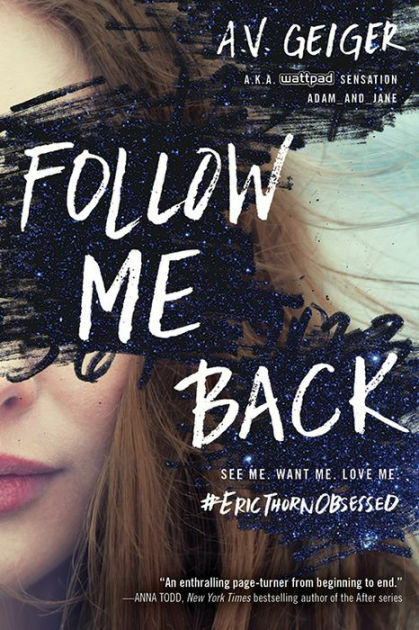 I must admit, I hadn't enjoyed the few books I've read about pop stars and their fans in the past, but after reading that blurb and picking up a sort of suspenseful vibe, I really wanted to give Follow Me Back a try. So glad I did, because I ended up seriously liking the story. At first, Tessa's character turned me off because of her star-crazed ways and how she'd spend so much time fangirling over Eric Thorn. I mean, I was sympathetic to her condition and the difficulty in leaving the safety of her room after what she'd experienced. 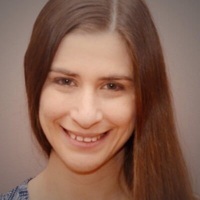 But whenever she would post about Eric and be so concerned with what he was doing, I felt like she needed to put all that effort into dealing with her agoraphobia. It basically justified Eric's paranoia about the intentions of his "fans" and how obsessive they could be. Eric Thorn seemed like a real-life celebrity. Everything he was going through came off raw and it made me wonder how many entertainers were truly dealing with the same thing. He not only had trouble with his record label, but he was having a tough time with the way many of his fans behaved online. And Eric was also in a dilemma because while he had paranoia after the murder of another star by a fan, he was pressured by his label and manager to feed the obsessiveness by showing off his body or posing seductively. It was all marketing, regardless of his fears. So I could understand his anger and his intentions behind the decision to do what he did. I liked how he hinted at all his issues as a celebrity to Tessa when they developed an online relationship, and while it reached a point of frustration when he kept his true identity a secret for that long, after they'd virtually gotten so close, it just kind of made sense to me and I liked his plan of how to get them to meet. The real dark side of the story didn't start to come to play until a little past the middle, in my opinion. For the most part, it was about both characters bonding online and sharing their individual issues. But towards the end when things started to unravel, my eyes literally went wide and I was yelling at Tessa for making that naive move. But then again, anyone else probably would have done the same thing if they'd grown to trust someone so much after months of talking. Still, having dealt with what Tessa had gone through and had developed agoraphobia from it, I feel like she should have been more careful. In spite of that a little issue, I loved how Eric and Tessa finally met in the end, even if it almost didn't happen. And the author left us with such a creepy and confusing ending that I'm now constantly on the look out of details about the next book because it doesn't seem good for both characters and I want for nothing more than to see them be happy, together. Overall, it's a very intriguing story with good writing. Totally a great debut. But I have questions A.V. : What happened to Eric? Had a psycho fan done something horrible to the characters? I need that sequel like yesterday! Ohh seems like it's a very open ending book. I'll have to watch out and maybe wait for the sequel before I read this one. Thanks for the review! This sounds good, but I'm loving that cover!! I do like the sound of this one. I am glad to hear that you really enjoyed it. I may need to add this one to my tbr list. Great review! Hope you like the story when you get to read it, Carole. The included details at the ending of this one is more like a what's to come in the sequel. A tease. But you can enjoy this one without it. I feel like the author should have left that bit out and leave the ending of this book as is. Oh wow, the sypnosis totally sold me over. I love a good suspense story and this sounds like I would totally enjoy. Great review! Hmmm.. now that I've read your review, I think I will wait and see what the reviews of book two are like!